Despite me nearly emptying the shop out of the constant grind I’ve been doing, I still dont have a 5th copy of GUDA-O. Understandably even if i did get it MLB’d i have better CE options but a part of me really wants to MLB it. I got this dumb idea and im hoping for some feedback on whether or not it’ll work. Not sure how well that would work out. I could be mistaken but I remember someone asking this on the old Q&A section. The answer they got was something along the lines of the drops being determined at the start of the fight. Drops are determined at the start of the battle, and do not change unless the battle is finished or you withdraw. Iirc, if you disconnected while waiting for the rewards, logging back in will begin with the rewards screen. P.S. 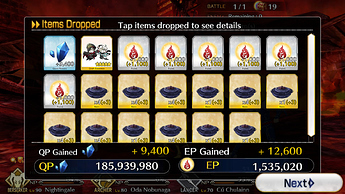 I only started getting Guda-o after bought en all. I feel just a little bit dumber for reading that. My mood is much happier though, so thanks for that. Let me ease your pain with 3 simple words as to the practicality of what you just suggested. I do wish you the most sincere of luck getting that rainbow chest though. 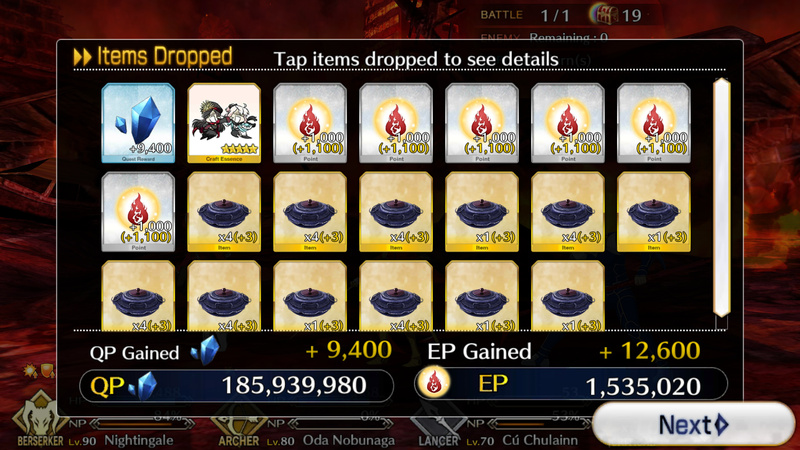 Nothing more frustrating than not being able to MLB an event CE.